So you’ve decided to take your passion online – Congratulations! and you’re most probably here because you’re doing your research, costings and looking for someone that can mentor you through the steps that are required to take your business online…and I would love to be that mentor. My biggest beef is using techno lingo for non-techies, there are many ways to use everyday language to explain technology without losing its meaning or leaving the meaning open to interpretation. You will also know that my learning style (and majority of the population) is seeing, doing and providing examples or scenarios that one can ‘relate’ to. We have partnered with a local hosting company so I can arrange it all for you – stress free! A domain costs approximately $30 every two years. Hosting is where your website is stored (like a house on a piece of land). It’s the place where your website is stored. SSL – Secure Sockets Layer – protects the integrity and confidentiality of data between the user’s computer and the website they are on. 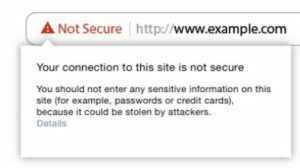 SSL activates the padlock and the ‘s’ marking your website as safe e.g. https. Effective July 2018. 10 email addresses are included in your hosting package. Is your business email something unprofessional like donttakemeseriuos@gmail.com? GASP! This is a deal breaker. It’s not hard to get a business email address, People are becoming more and more selective when it comes to their inbox. Spam emails and promotional offers from unwanted sources tend to make people wary of opening a new message, and this is where your professional email address comes into play. We can set up your new email address on any device. So, there can be no excuses.